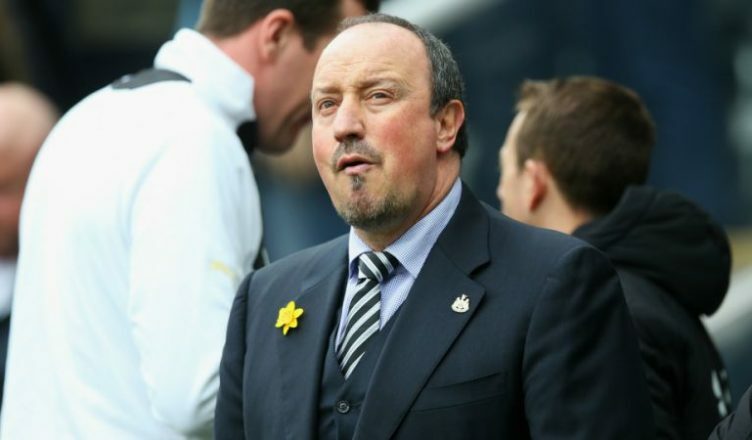 Magpies Face Unwelcome Injury Scare in Run up to Palace Clash – NUFC blog – Newcastle United blog – NUFC Fixtures, News and Forum. Rafa Benitez’s side has had an unwelcome injury scare ahead of their upcoming match against Crystal Palace. Palace are heading to St James’ Park next Saturday, with both sides looking to improve upon their last encounter, which ended with a goalless draw. But Newcastle may well find themselves facing Crystal Palace without one of their key players in place. Magpies midfielder Isaac Hayden was forced off the pitch, replaced by Ki Sung Yeung, with a hip problem during last night’s 2-0 defeat to his former club, Arsenal, at the Emirates stadium. Hayden’s health is still under observation by the club, who will be monitoring him closely in the run up to next Saturday’s game. Hayden has established himself as an effective defensive midfield, something that Newcastle will need to achieve the result they are capable of against Palace. The BBC’s Matthew Raisbeck quoted Rafa Benitez as saying, “We have Hayden complaining a little bit about his hip but it seems that it’s not very serious.” So, it seems likely that Hayden will be back on the pitch fairly soon, but could his absence be the deciding factor against Palace? Hayden was absent for the last clash between the two sides but has been an important midfield presence for the Magpies’ last 15 games. If he is unable to play against Palace, it is likely that Jonjo Shelvey will be taking his place. 27-year-old Shelvey has had injury problems of his own this year, having suffered a thigh injury during the early season that has kept him from the starting 11 for the last 5 months. Hopefully, Hayden will be able to take his place on centre field against Crystal Palace. However, as Shelvey says, these things are best nipped in the bud early on. Returning to the pitch too early could turn a minor injury into a disaster for Hayden. Even without Hayden’s presence on the pitch, Newcastle stand every chance of winning. History is on their side; of the 44 encounters these two sides have had, Newcastle have won 26 and drawn 9. On the other hand, Crystal Palace have only come out on top 9 times out of 44. Whether Hayden is on the pitch or not, Newcastle stand an excellent chance of winning. If you fancy taking a punt, head on over to GamblersLounge. While you’re there, check out their other betting tips for English football. Saturday’s game against Crystal Palace should be a great one for Newcastle, although possibly not for Isaac Hayden. Even without their first choice of defensive midfielder, Newcastle definitely have the potential to triumph. Wolves sign £32m striker to show NUFC how it’s done – Are you watching Mike Ashley?